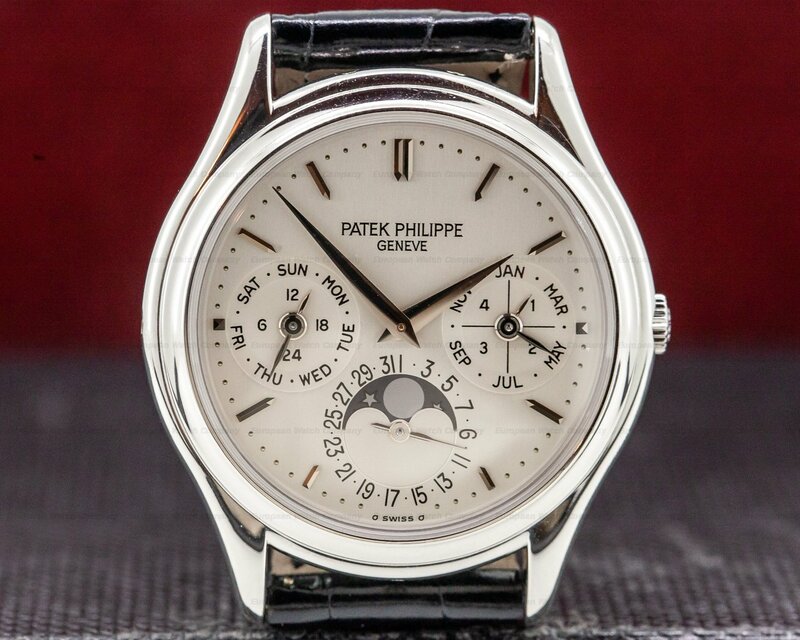 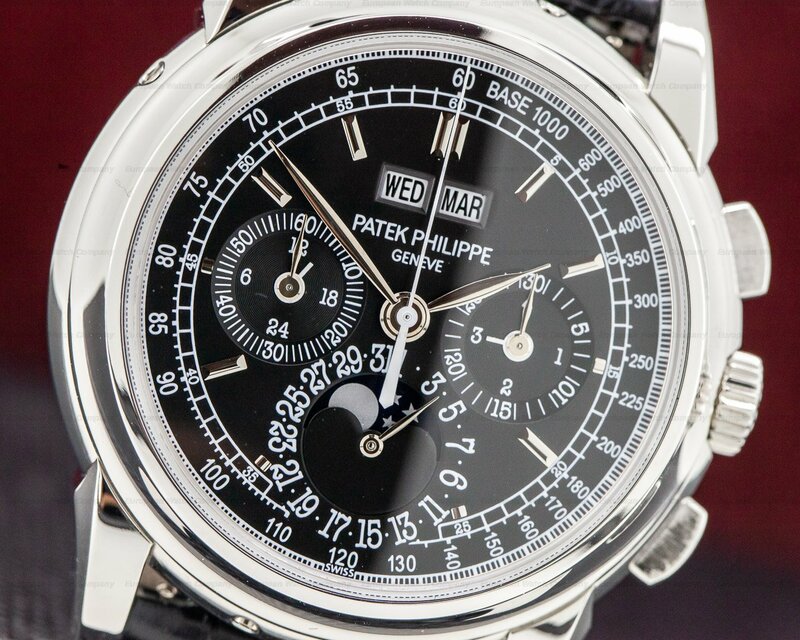 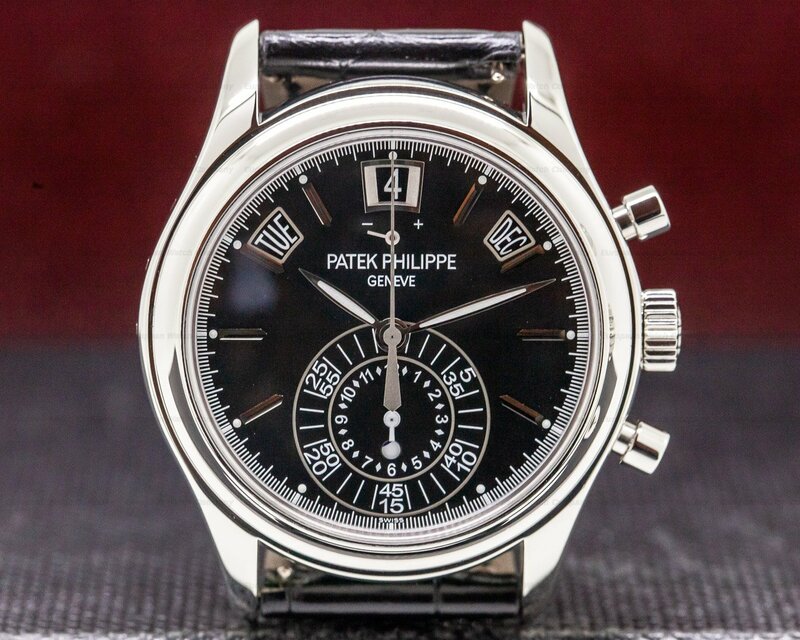 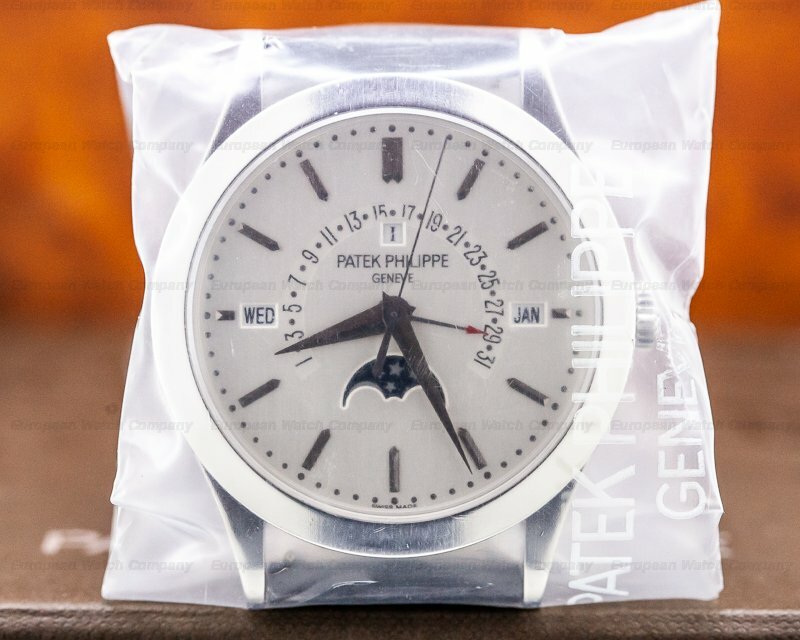 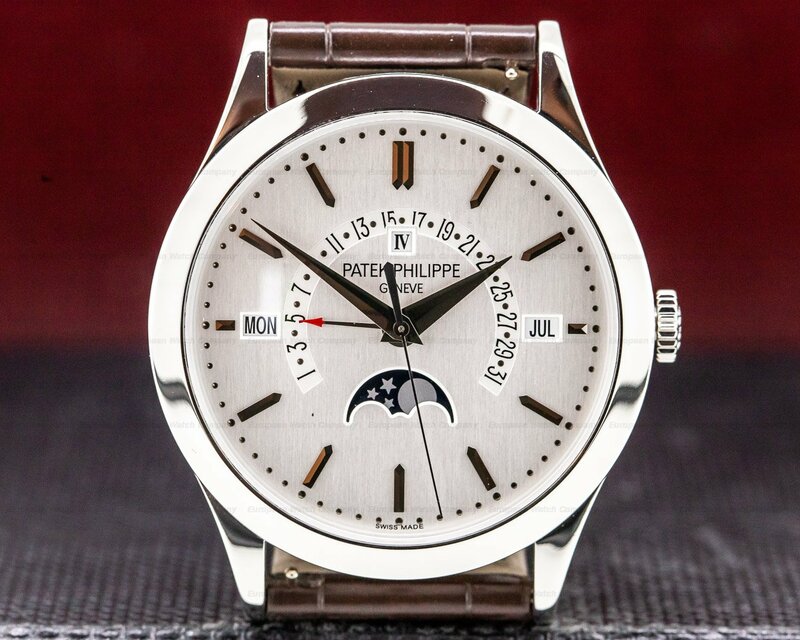 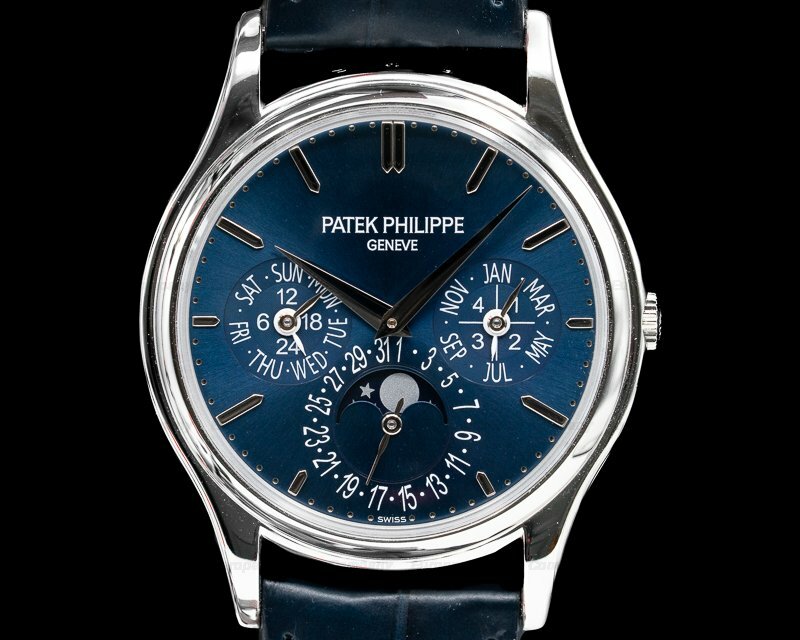 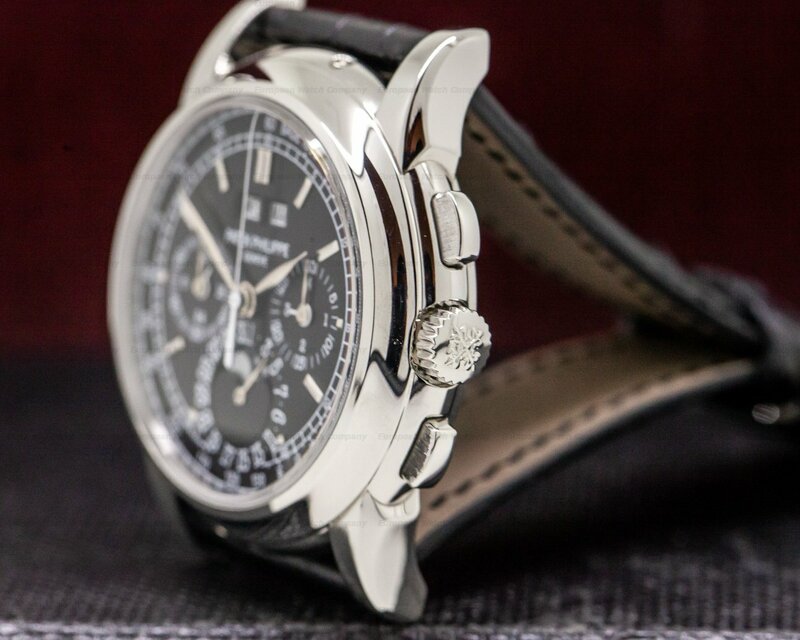 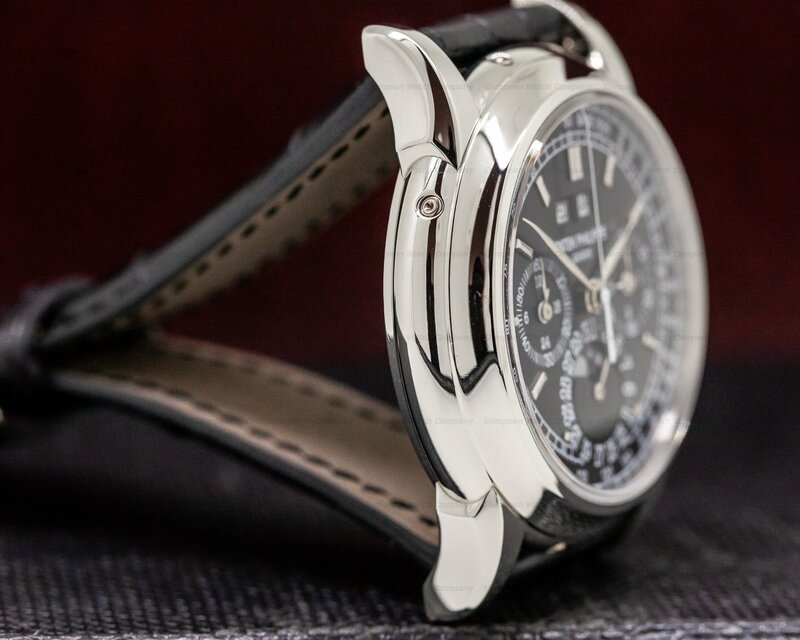 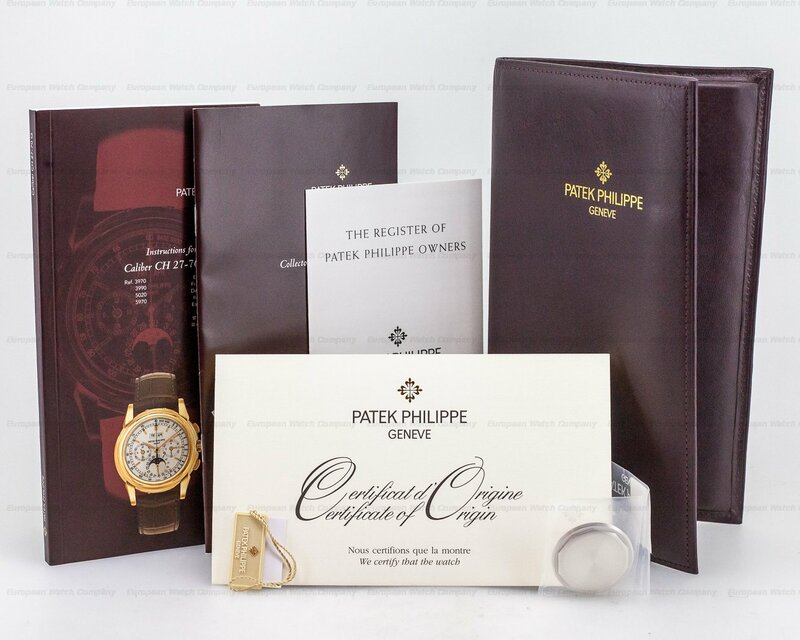 This is a platinum Patek Philippe Chronograph Perpetual Calendar 5970P-001. 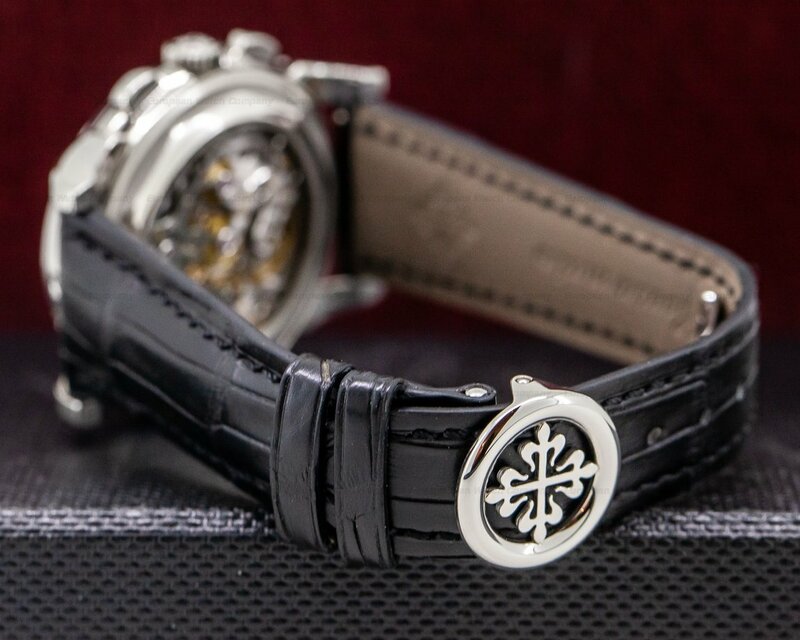 It has an alligator leather strap with a platinum double deployant clasp and a scratch resistant sapphire crystal. 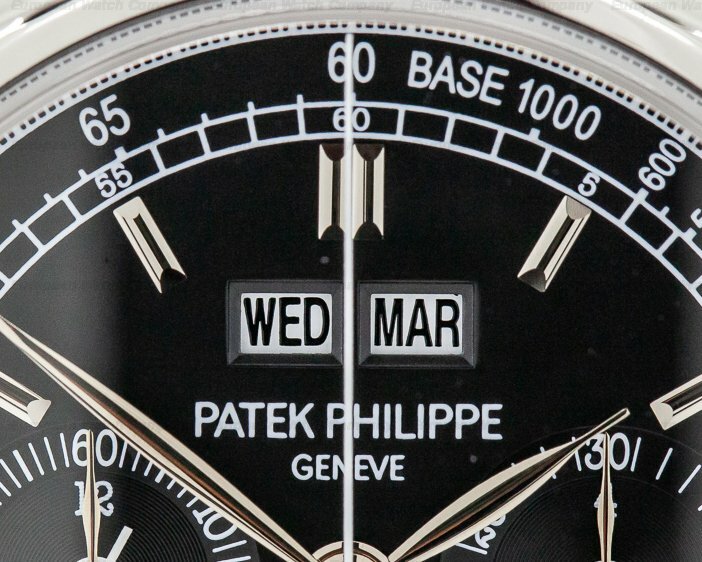 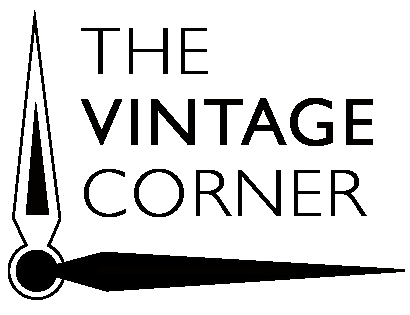 There is a polished screw-down exhibition sapphire display case back, and there are four correctors for the date/calendar on the case band, including one at 10 o'clock, one at 7 o'clock, and two more are at 12 o'clock on top of the watch. 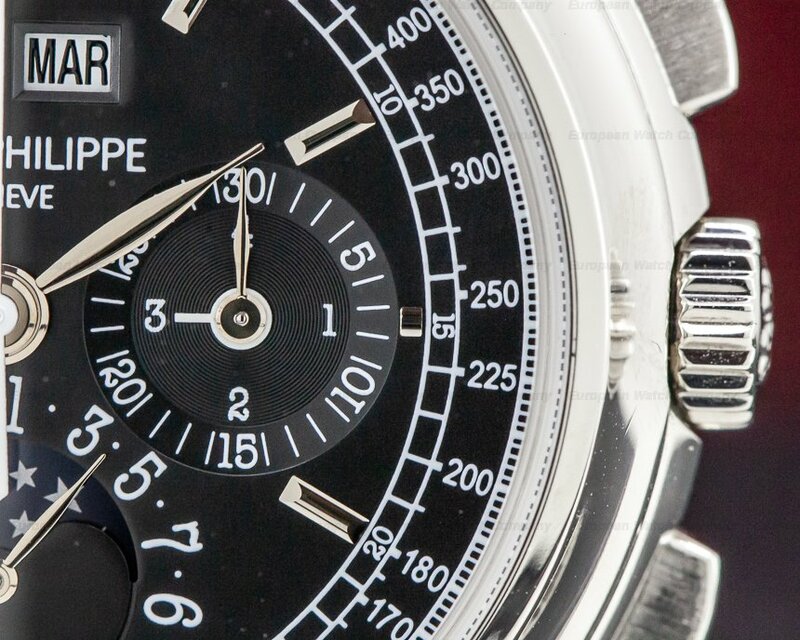 It has rectangular chronograph pushbuttons, and the 40mm diameter solid two-body case, downturned lugs, and cupped bezel are polished. 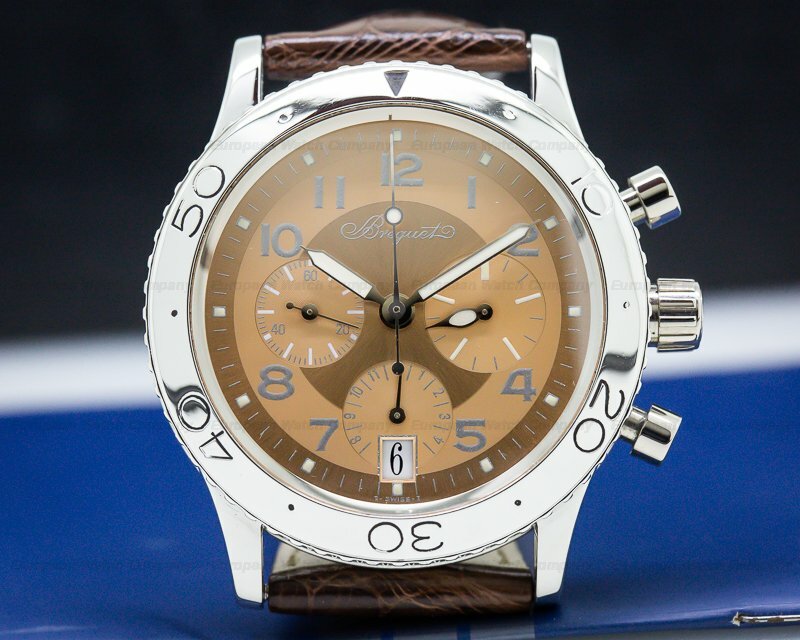 The dial is black with applied baton and square hour markers, gold feuille hands, and a center sweep chronograph hand. 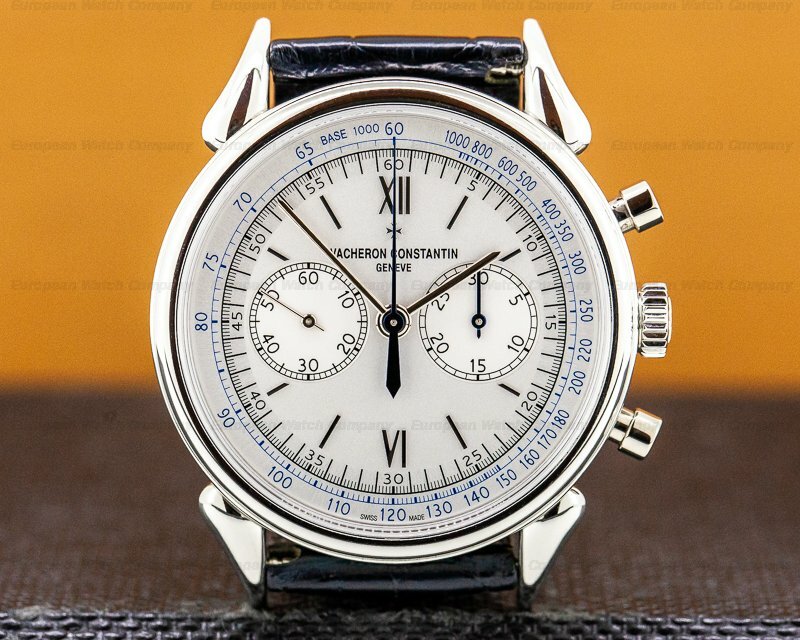 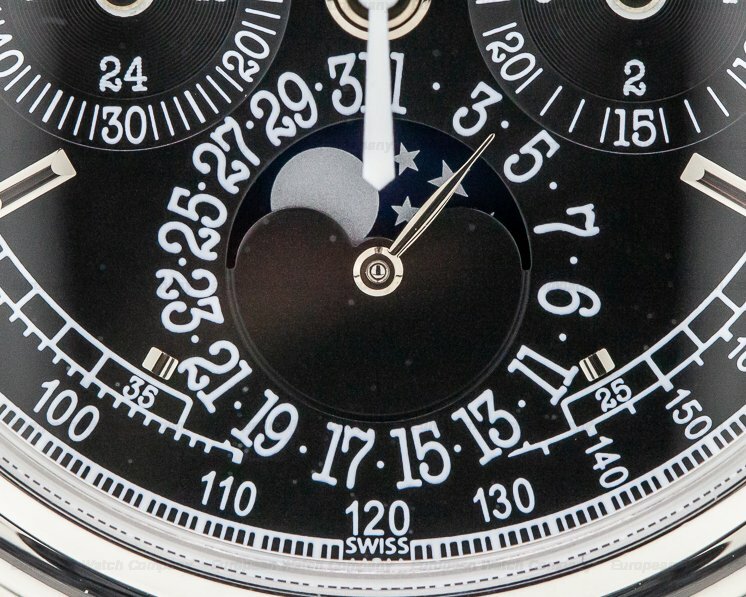 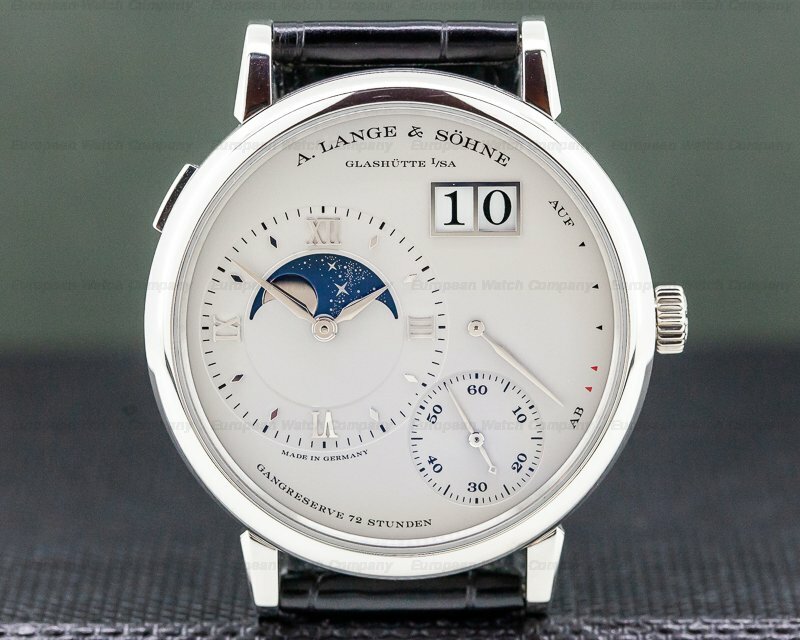 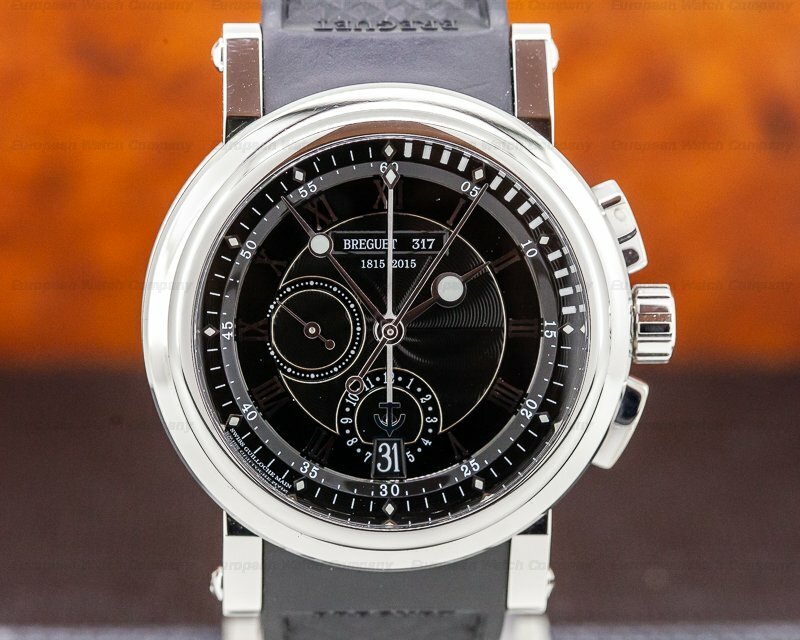 It has a railway-style minute/second scale with Arabic numerals every five minutes, and around the perimeter is a tachymeter graduation to 1000 UPH. 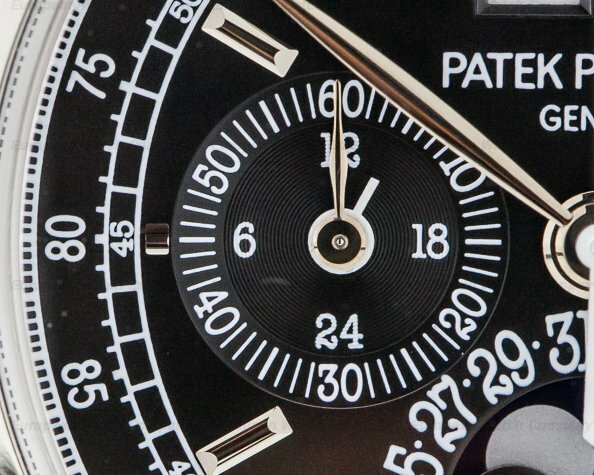 It has twin rectangular aperture windows at 12 o'clock for the day and month, and there are three recessed subsidiary dials with gold hands, including a combination 30-minute totalizer and leap year indicator at the 3 o'clock position, a combination 24-hour register and constant small seconds dial at 3 o'clock, and there is a moon-phase and date indicator at 6 o'clock. 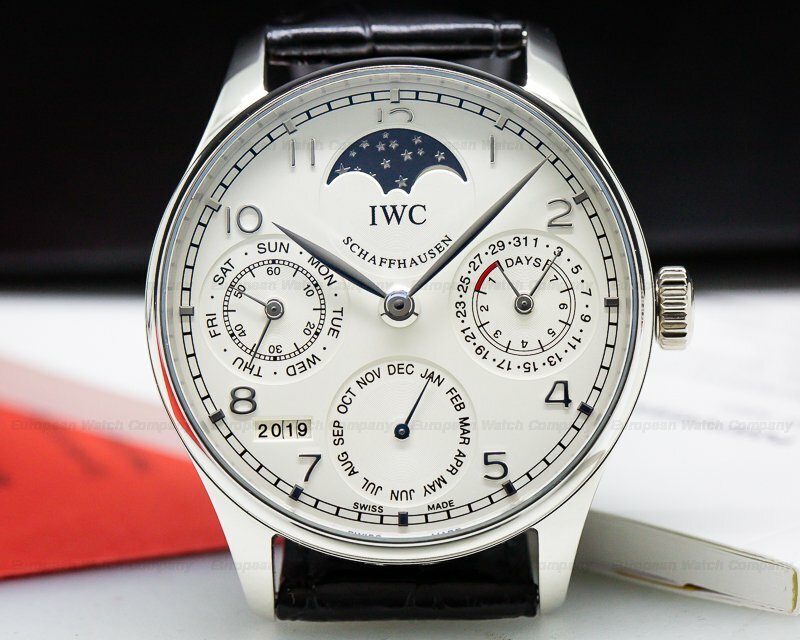 It has a power reserve of 60-hours at full wind, and it's water resistant to 30 meters/100 feet. 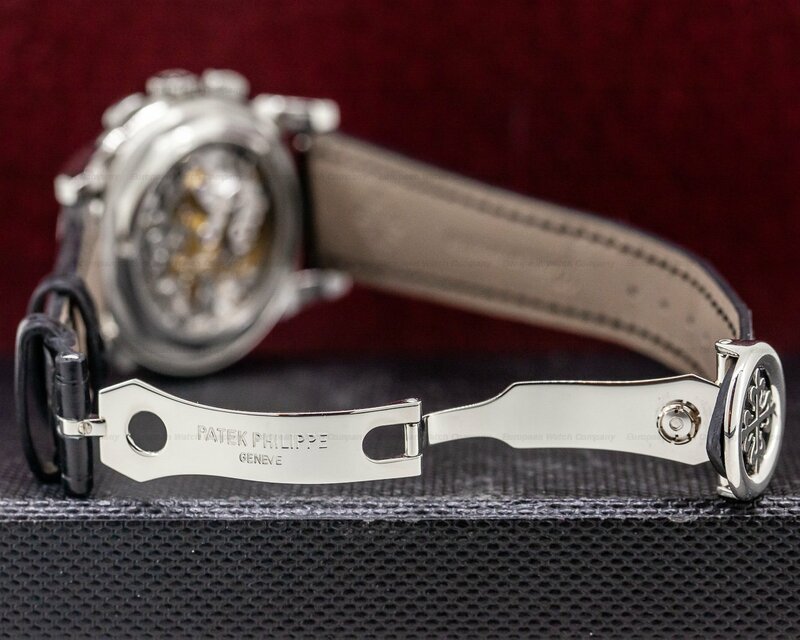 The 12.9mm thick case, dial, and movement are all signed. 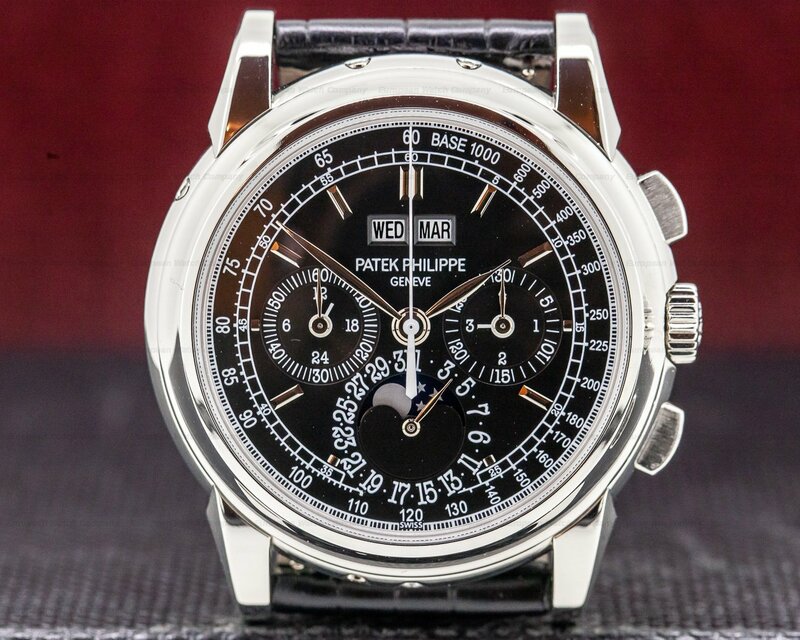 This Patek Philippe Chronograph Perpetual Calendar 5970P-001 has a mechanical manual winding Patek Philippe caliber CHR 27-70 Q (made from a base Lemania caliber 2310 movement) column wheel chronograph movement, that's stamped with the Seal of Geneva Quality Mark, and the Patek Philippe seal. 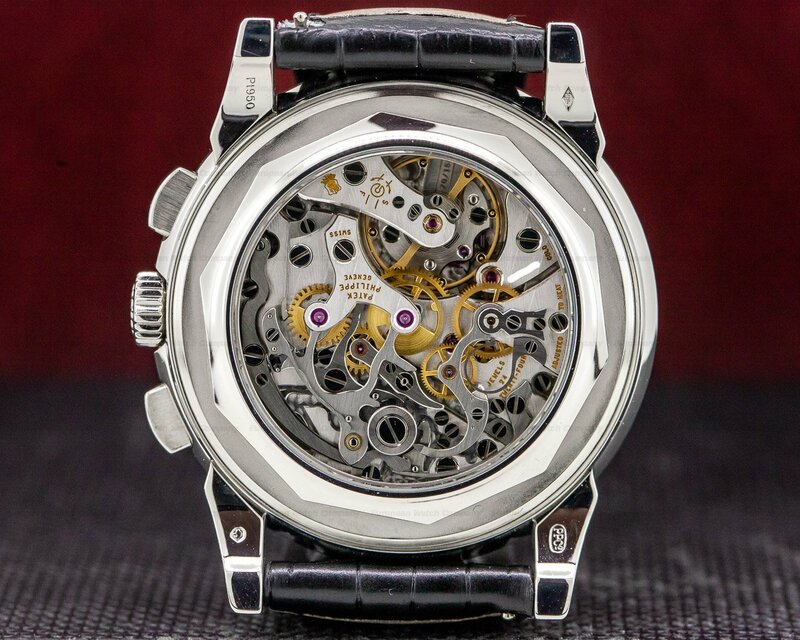 It's rhodium-plated, with fausses cotes embellishment, and the mechanism oscillates at a frequency of 18,000 vph (2.5 Hz).